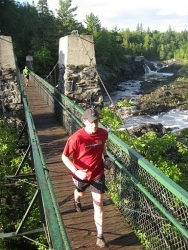 Minnesota Voyageur 50 Mile Trail Ultramarathon – Carlton to Duluth, MN… and back. M: Ben Cogger – 06:40:34 A new course record!!! The following also reached finish milestones. Congratulations, all!